Fernanda Levine creates vibrant canvases with rich saturated colours of magenta, pink and fuchsia, blended with yellow and blue. 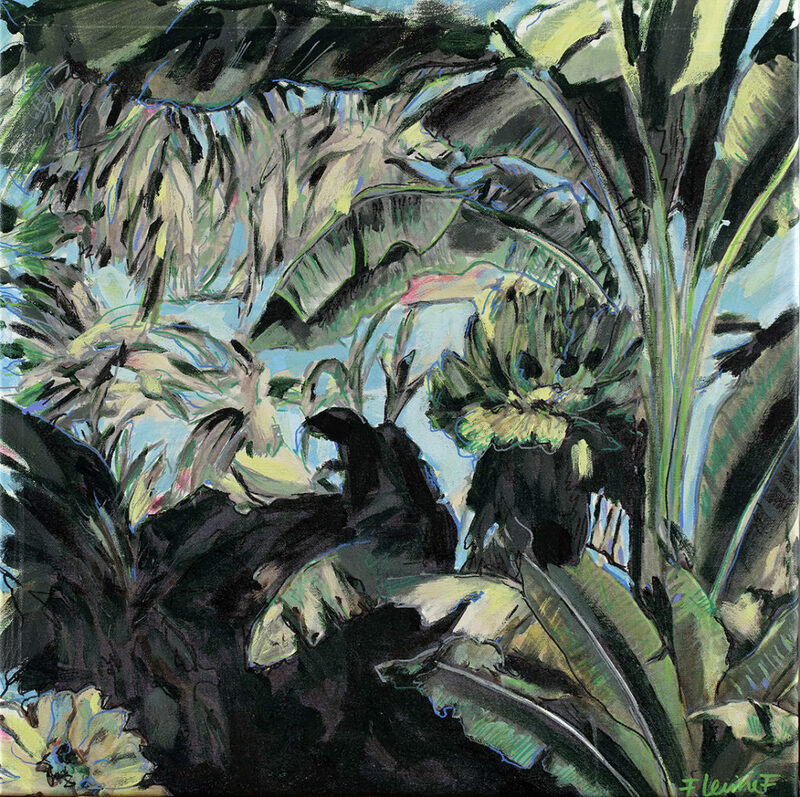 Her captivating florals, such as this piece commissioned for Art Gems, are part of her Backyard Series. Levine studied Fine Arts at the Finis Terra University in Santiago and received her MFA from the University of Chile. She has won numerous awards and honours, and has also exhibited her work at the National Library of Chile, Artespacio Galeria de Arte Santiago, the Museum of Contemporary Art (Santiago), and SOMArts (San Francisco). 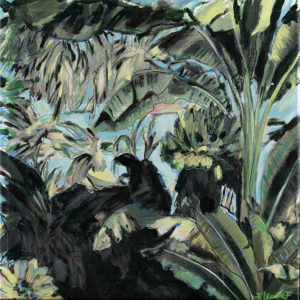 Levine lives in Santiago, Chile, and she is represented by Mónica Reyes Gallery Vancouver. Click the arrows to view all auction artworks by Professional Artists, or the checkerboard icon to return to the Artworks master list. © Copyright 2019, Art Gems. Photographs are taken during the event and may appear in print and/or on the internet.